This week I was interviewed by Tim Lynch at GreenPlanet FM. We explore a wide range of consciousness-life-related topics, and how to bring ourselves—most particularly our psyche or soul—into reciprocity and harmony with the Living Earth. Please listen, enjoy, and share to your friends and networks. Please support GreenPlanet FM here, and explore the many other people Tim has tirelessly interviewed on a great many topics. Jonathan, opens with where we focus our attention is where we end up going and we are trained at a very young age from conception onwards there is conditioning and whatever our parents are thinking we as the embryo and baby become programmed with the thought forms that emanate from our mother then father etc. Bruce Lipton eloquently covers this subject. The amount of information that is reaching the senses and inner sensibility of developing baby and child is vast. Including the receptiveness of a baby’s brain wave sensitivity of its mother and what she is tuning into and all the variables of a baby basically awash in an ocean of information that is infinite. Covering loving parents, family relationships extended family which spread outward into the surrounding community it bodes well for that child, and the necessity for us as a humanity to continually work towards this end. Cooperative cohesive tight, loving relationships are key to our individual and collective future. Some of Bruce Lipton’s recent information about how we take on the informational and feelings and thoughts; before conception and whatever a pregnant mother thinks, feels and experiences has an impact on the developing embryo continuing after birth to the baby growing into a child. Therefore the happiness factor of well-being and the ripple effect extending outward from us, in layers – is encouraged throughout this interview. This extends into our macro life support system – our living planet that, is more than a piece of dead rock with water and vegetation somehow hanging off it. The fact that minerals have a rudimentary consciousness is mentioned and that science has been extremely reluctant to take this further, for it would validate many indigenous peoples knowing that our planetary system is a living entity and that we humans are just one small organism. That in reality is embedded in the super-organism that is the human race who are living on the side of a colossal super organism we call mother earth. Reciprocity is mentioned time and again as we see ourselves in a co-operative and co-creative relationship with our planetary biosphere – we take in oxygen and give out Co2 that plankton and plants take in to then expire as life giving oxygen in another circular expression of give and take. This is what most indigenous nations deeply comprehend, whereas our present day civilisation, is unable to connect the dots to the realisation that we are stealing our future by the extraction of unsustainable resources and in fact are undermining the chances of our children inheriting a planet of health and abundance. So how does humanity balance the present day extraction of our living planets resources and not degrade our ecology, which is not our true nature, because we do not see that going on with other animals at all. Thus, the necessity to find life affirming and innovative ways to give back to society and the global commons as a whole? How do we achieve this? This interview covers the age of materialism and that, it’s how we relate to matter that the root word actually comes from – mater, mother. The challenge is that most modern cultures relate to life and matter in a superficial way. Yet, when we delve into the subatomic depth at the heart of matter we basically come to pure energy and we come to an aspect that scientists and mystics say is consciousness – it seems to have a quality of being conscious. This of course is hotly disputed by scientific mechanistic reductionism where science breaks down every part of the whole to find a smaller and smaller component and when they eventually find nothing claim that matter is just dead and inert. Mentioning, Jagadish Chandra Bose an Indian polymath who showed that plants had a rudimentary consciousness and we are totally connected to the vegetable kingdom – see [amazon template=title link&asin=0060915870]. 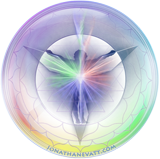 Jonathan, says that materialism is not a mistake and that it is not outright “bad”; rather it is a matter of consciously being able to handle materialism and what it represents. Do we look at it in relation to ourselves and the world around is in a superficial way or, do we feel into and acknowledge the profundity of what the material plane of existence actually is, i.e. is the book the cover? Our attention these days is caught up in superficiality, meaning we are conditioned to only look at the surface of things. For example, the glossy magazine cover with the pretty girl airbrushed and photoshopped to represent something that is not really her and could be perceived as not real and basically a fantasy. And this is a reality that is prevalent in today’s world that people accept, and many find appealing. We have become engrossed in superficiality, especially in the western world. Where does soul come into it, what is it that resides in our chest cavity? Sir James Jeans mathematician – the universe is a ‘great thought’ and Sir Arthur Eddington, physicist – the universe is made of mind stuff. In our shallowness we have also become lacking of depth of our own history, our own origins, our own roots. A tribe living in the middle of the Sahara desert or the Amazon jungle live a very different life to what we – in that within their bubble they live and flow as a very cohesive cellular organism even as our western society imposes itself upon them more and more each year. Their family and community have a closer connection to the natural world because they are dependent on it for their very survival. And they have been existing like this for possibly thousand years or much more and very sustainably too. Which comes back to our attention. Where are we putting it? Are we blanking out the major environmental challenges for the comfort of warm fuzzies and disengagement or, are we going to step up to the plate? Our planet is billions of years old and was doing very well, but in an extremely short amount of time industrial man is managing to take us and 7.4 billion of us to the precipice of a mass extinction due to our avarice and desire to consume our collective future and the entire biosphere? The Aotearoan/NZ maori, have a deep appreciation of whakapapa (ancestry). They not only introduce themselves by their biological and human ancestry, but ALSO with their ancestry of their living environment that they are a natural extension of, such as their local mountain, river, lake, or sea shore. We as a humanity, are now in a moment of great transition where outdated ideas including many patriarchal ways have gone past their use by date, where nurture-ment and co-operation, co-creation and community be it in cells or clusters are coming together to work towards a unified whole. To today, we have now the greatest challenge ever for us as a species and our planet as a whole. What will we do to act in accord with natures process and drive sustainability within the biosphere and be the change we wish to be in the world. To sit back and leave it to the corporate and political leadership is a pipe dream that will lead us in essence – to a nightmare. Can we use our inner potential and channel it to co-operate, co-create, and nurture the outer world by committing and then to organising ourselves to face reality and work cohesively together – being life affirming, at a community level. Will we break the spell of inertia by digging deeper within – as in deep ecology of the soil and that of the soul? This is what will ignite our potential as well as our relationship with the living world around us. It is what it means to wake up! How do we actualise this, to embody that – and dance that – and be that – and feel that – and plant that – into this earth. This interview also covers our physical body and what the indigenous Kogi people of the high Sierra Nevada de Santa Marta mountains in Columbia call our luminous body and extending to all the thought forms the Kogi Mamos (“Enlightened Ones”) can see because they are exceptionally conscious beings. attached to our body and that have to be dealt with. On – where we place our attention. The human species in relation to our planetary organism. Reciprocity and the interrelationship with all of life. Indigenous peoples relationship with the living earth. Consciousness in plants and the mineral kingdom. Consciousness at the subatomic and quantum levels. Resolving the challenges both within us and that surround us. Being heart centred and bringing peace to our lives. Courage and being encouraged and validated by community That we need not be doing this journey alone, having available group energy and healer friends are of great assistance. Being in community is a great asset. New Zealand/Aotearoa Maori, as an indigenous society, sees our planet ‘papatuanuku’ as a living breathing being. Have whakapapa … blood lines, lineages – sung to their children … back to the 14th century. They meet and greet by hongi – 3rd eye to 3rd eye – plus share ‘invisible’ breath. This interview covers indigenous peoples to the human spirit. The world is in a great initiation, a giant transition. It’s time to question the (de)construction of every wall. Those of us willing to identify as leaders and healers are uniquely poised to help this process. Surviving crisis is written in our DNA, but this time around, the scale is larger. Very Inspiring and leading to positive Action.